A little earlier saw the release of the new Mad Max trailer. It’s epic! 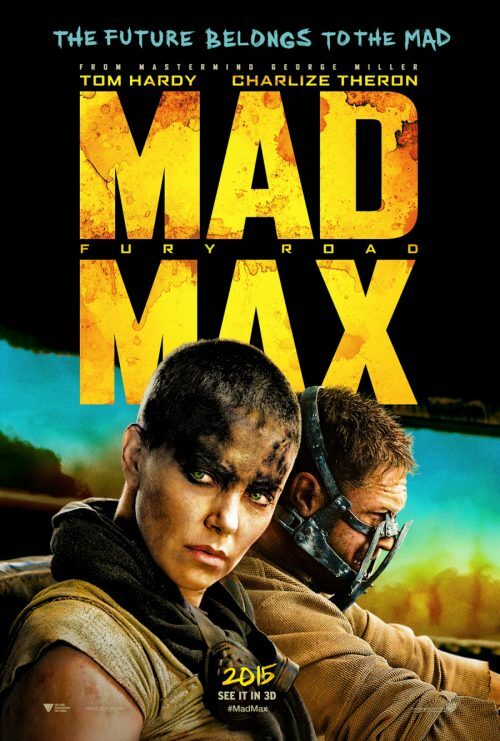 It makes the film have the look and feel of mad Max 2. Then again, it is meant to be what happens between the first and second films. It’s action all the way. That seems to be the whole plot. One long explosive char chase with something to fill in between these massive set pieces. The thing you have to remember is all the car stunts are done for real! No Michael Bay like CGI cars flying everywhere. It’s a simple thing but looks a lot better than even the most expensive computer generated car crash can ever look. In a way my heart goes out to the artisans who have built all the vehicles just to see their hard work go up in a huge fireball. Then again, without people like that we wouldn’t have gotten such an epic scale to the film. The other thing that we have is a brand new poster. Even that is great! That is coming from someone who has seen thousands of posters over the years! It’s very simple but gets the feel of the movie over without the need for a huge explosion in the background – back to Michael Bay again!